The final deadline for submissions is 9am on 22nd November. Sculpture in the City is an award winning urban sculpture park which launches at the end of June. A cultural initiative delivered by the City of London in partnership with 13 local businesses, it is sited in the EC3 (insurance district) area of the City, around the iconic towers of the Gherkin, the Cheesegrater, Lloyd’s building as well as inside Leadenhall Market. The call for submissions for the ninth edition of Sculpture in the City is now open for preexisting works that can be exhibited outdoors from May 2019 to May 2020. Deadline for applications is 22nd November 2018. The aim of the project is to use the area as a contemporary urban gallery space and showcase cutting edge art in an area represented by the iconic contemporary towers but also the layers of history nestled amongst these tall buildings. Since the launch of the project in June 2011, the project has grown significantly in size and scope. The current, eighth, edition of Sculpture in the City is showcasing 19 artists in 20 locations and is on show until May 2019. The current exhibition has achieved extensive press coverage with a successful campaign led by Brunswick Arts. 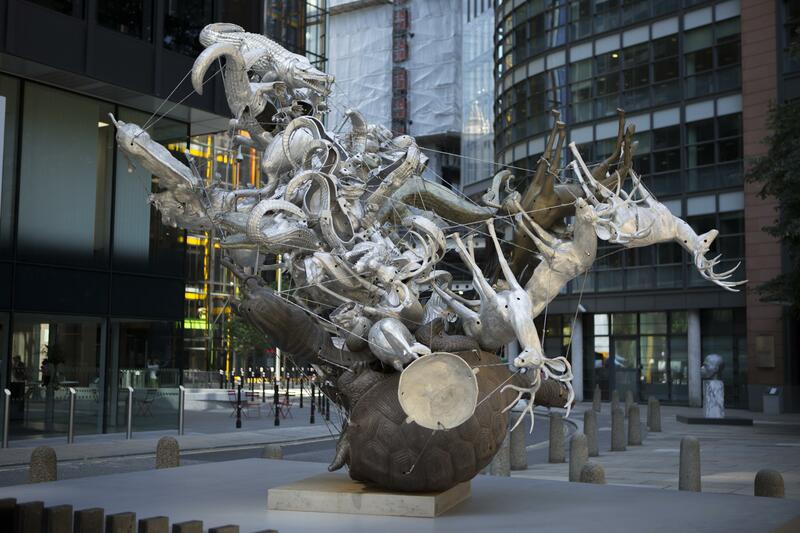 A film review of Sculpture in the City’s eighth edition can be viewed here and a dedicated website https://www.sculptureinthecity.org.uk/ was launched in June 2018 where there are images and information about all the artworks as well as a downloadable map. The artworks exhibited are primarily 3D. The proposed artworks need to be pre-existing; the project does not commission. The artwork needs to be suitable for exhibiting outdoors and available from May 2019 to May 2020. There are many potential sites in the area of varying size and conditions. The scale of the surrounding tall buildings calls for large scale works which have been shown very successfully to date, and the shiny monochrome buildings provide an ideal context for bold colour work. In addition there are sites, such as the churchyards, which make ideal sites for smaller works. Over the years we have also hung works in Leadenhall Market, in trees, in alleyways, across lampposts, on the Lloyd’s building and on the Cheesegrater. The scope of the project allows for sculpture to be showcased in the most contemporary fashion. Weight and installation ease are often a defining factor as not many of the spaces have large weight loading capacity and in some cases sites identified prove inaccessible. The current edition also includes, for the first time, two sound works and moving forward the project is keen to consider film and digital works, and public art in its wider context. 2016: Anthony Caro, Gavin Turk, William Kentridge & Gerhard Marx, Lizi Sanchez, Ugo Rondinone, Recycle Group, Jurgen Partenheimer, Huma Bhabha, Petroc Sesti, Michael Lyons, Benedetto Pietromarchi, Enrico David, Jaume Plensa, Mat Collishaw, Sarah Lucas and Giuseppe Penone. 2017: Daniel Buren, Fernando Casasempere, Martin Creed, Ryan Gander, Damien Hirst, Kevin Killen, Paul McCarthy, Nathaniel Rackowe, Peter Randall-Page RA, Recycle Group, Bosco Sodi, Karen Tang, Gavin Turk, Mhairi Vari, Mark Wallinger and Gary Webb. 2018: Marina Abramović, David Annesley, Shaun C Badham, Miroslaw Balka, Jyll Bradley, Tracey Emin CBE RA, Clare Jarrett, Juliana Cerqueira Leite, Gabriel Lester, Sarah Lucas, Amanda Lwin, Jean-Luc Moulène, Michail Pirgelis, Thomas J Price, Richard Rome, Nancy Rubins, Sean Scully RA, Do Ho Suh and Karen Tang. Works submitted are shortlisted for consideration by the Arts Advisory Group: Iwona Blazwick (Director Whitechapel Gallery), Robert Hiscox (Honorary Chairman Hiscox), Whitney Hinz (Hiscox Curator), Stephen Feeke (Director New Art Centre), Jane Allison (Head of Galleries Barbican) and Wendy Fisher (Chairman of the Guggenheim Board of Trustees). The shortlist is expected to be confirmed in December 2018. Following shortlisting by the Arts Advisory Group each artist / gallerist is invited for a site visit to identify which site(s) in the area are most suitable for showcasing the selected work. When all shortlisted artwork sites have been identified the project team liaises with the landowners to obtain their approval for particular artworks to be shown on their land. The project team also takes care of health and safety, planning, engineering and installation requirements, and any other legal requirements the project needs to comply with. We aim to confirm the final installation list in April 2019 and will be installing works in May/June 2019 with the official project launch 25/26 June 2019 (tbc). The works are on loan at no fee for 12 months (May 2019-May 2020). 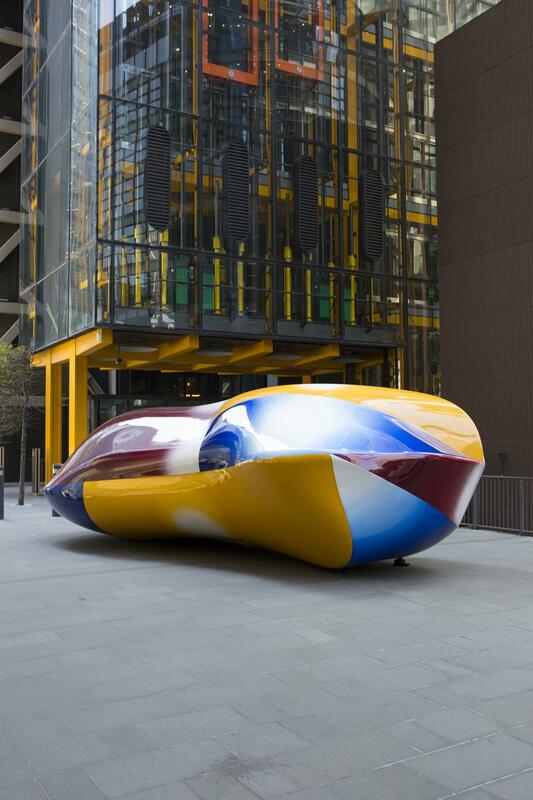 Sculpture in the City covers shipping within the UK, installation, insurance and maintenance costs. Please note shipping from outside the UK will be considered but not guaranteed. Sculpture in the City works exclusively with MTEC who ship and install all the artworks. All artists and galleries participating receive full credit on all marketing and press material and are invited to the official Launch event and other associated events. Submissions have to be made online via CuratorSpace and should include, among other elements, photos, bio of the artist, information about the work proposed (inc. dimensions, weight and media) as well as confirmation that the work can be installed outdoors and an estimated cost of installation and crate storage. We encourage artists considering submitting work to visit the current exhibition to experience the project’s dynamic urban context, as well as looking at past editions on the website. Artists with a pre-existing artwork that is suitable for outdoor display and available for display from May 2019 to May 2020. There is no limit but a complete separate application has to be made for each single artwork. We expect to be able to take delivery of the work in May 2019. We expect to be able to return the work in May 2020. Yes. There is an launch party in June 2019 to which all participating artists are invited. 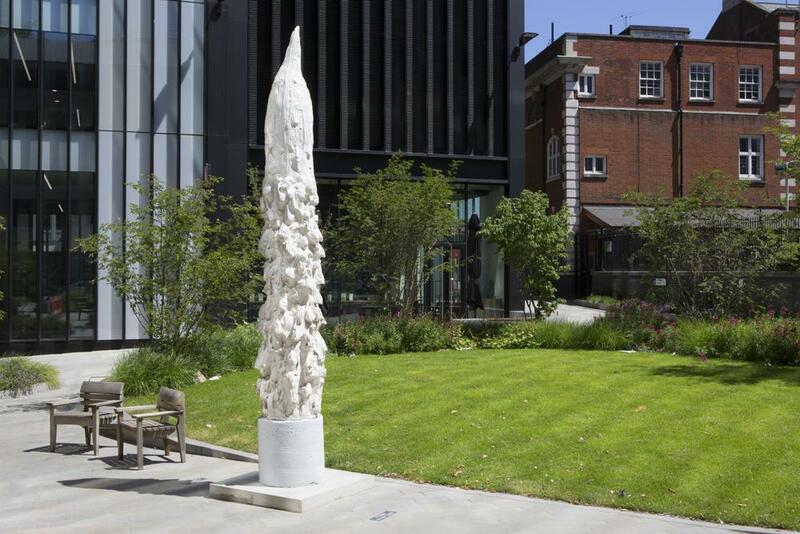 There are also many tours of the sculpture park organised throughout the year, some as part of London-wide initiatives including the London Festival of Architecture and Open House London. 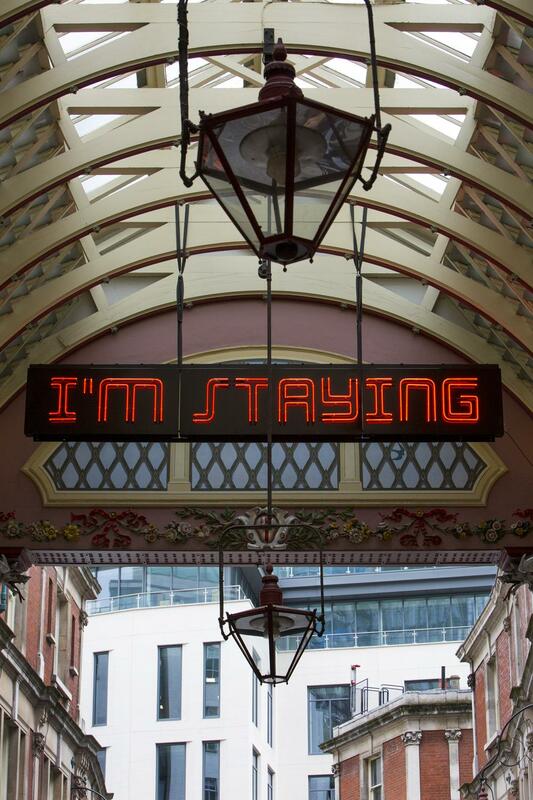 As part of the ninth edition, Sculpture in the City was an associate programme partner to Nocturnal Creatures a late night art festival organised by Whitechapel Gallery that attracted more than 6,000 visitors to the area. 24/7 as it is an outdoor sculpture park in the public domain. As this is an outdoor sculpture park, most locations have disable access but we recommend verifying each site before visiting. The current exhibition achieved extensive press coverage with a successful campaign led by Brunswick Arts, including Time Out, Londonist, Telegraph, FT, Evening Standard, Artlyst, City AM, Dezeen as well as many online publications. We expect similarly good results for the ninth edition. Artists selected by the Arts Advisory Group are invited for a site visit to to identify which site(s) are most suitable for showcasing the particular work. Artists are also invited to the launch party in June as well as to participate any press opportunities that may arise. Works submitted are presented for consideration by the Arts Advisory Group made up of Iwona Blazwick (Director Whitechapel Gallery), Robert Hiscox (Honorary Chairman Hiscox) , Whitney Hinz (Hiscox Curator) , Stephen Feeke (Director New Art Centre) , Jane Allison (Head of Galleries Barbican ) and Wendy Fisher (Art Collector and Philanthropist). Following shortlisting by the Arts Advisory Group each artist / gallerist is invited for a site visit to identify which site(s) are most suitable for showcasing the particular work. When the shortlist has been collated with chosen sites the project team liaises with the landowners to obtain approval. The project team also takes care of health and safety, planning, engineering and installation requirements, and any other legal requirements the project needs to comply with. We aim to confirm the final installation list in April 2018 and will be installing works in May/June 2018. Artists selected by the Arts Advisory Group are invited for a site visit to to identify which site(s) are most suitable for showcasing the particular work. The aim of the project is to use the area as a contemporary urban gallery space and showcase cutting edge art in an area represented by the iconic contemporary towers but also the layers of history nestled amongst the towers. Over the years the project has challenged the idea of what public art can be in a dynamic urban space. The artworks exhibited are primarily 3D. The proposed artworks need to be pre-existing, as the project does not include a commission budget. The artwork needs to be suitable for exhibiting outdoors and available from May 2019 to May 2020. The artworks shown to date are predominantly large sculptures, with the tallest being Ai Weiwei’s Forever at 10m tall. Scale and colour can also be factors which work particularly well sited next to the towers of 30 storeys plus, with the Cheesegrater at 56 storeys tall. In 2018 we have also successfully installed two sound works and moving forward we are keen to consider film and digital works.